Anyone who has been following Nokia's fortunes over recent years knows it was losing ground at an alarming rate since Q4 2010. By the time of the Microsoft partnership, Nokia's U.S. market had all but gone. Meanwhile, Microsoft was on the long road of trying to get into the mobile market and to have Windows Phone taken as a serious player. As of February 11th 2011, the conversation changed when the two companies teamed up, with Nokia going 'all in' on the Windows Phone platform. To be successful, operators need to play a part though. 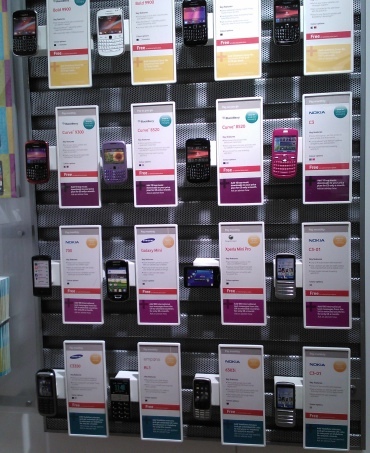 For the past two years, phone shops have been dominated by iPhone and Android devices. While Nokia and Blackberry are present in most shops, the support for these 'third place' contenders has been steadily slipping away. While the tech press had somewhat self-fulfilling opinions about Symbian, these would be less likely to hold sway with sales assistants. The phone shops would only push the handsets that were in their best interests to. Apple has infamously placed strict conditions on the sale of iPhones, no doubt to the chagrin of network operators. Fortunately, Android came along and became the commodity brand of smartphones, giving networks an alternative to the restrictive iPhone and old-looking Symbian. While the situation may have provided temporary relief to network operators around the world, it somewhat backfired when Android's popularity exploded. Suddenly, network operators had their fate in the hands of Google and Android OEMs more than was comfortable for them. Then Windows Phone came along. In principle, this was great news for carriers, as the fabled 'third ecosystem' could give them back the sway they'd been looking for all along by making the smartphone market much more of a battleground between each of the platforms, and thus make them offer much more lucrative deals to carriers. Going by that logic, you'd think that the carriers would be falling over themselves to promote Microsoft's mobile operating system. Well, AT&T in the USA has made an effort to be seen to be endorsing the platform, but that doesn't reflect what is actually going on in the stores. There are anecdotal reports of sales reps still recommending the iPhone over the Lumia 900, which begs the question as to what sort of deal are Apple now offering? (None, according to TechCrunch). This is all in spite of Nokia reportedly paying for AT&T staff to use the Lumia 900 as their personal device, to give them the experience they need to advise customers (source). Similarly, our experience of UK stores suggests that our mobile carriers aren't going all out to promote sales of Windows Phone either, see our article 'A snapshot of the UK High Street'. 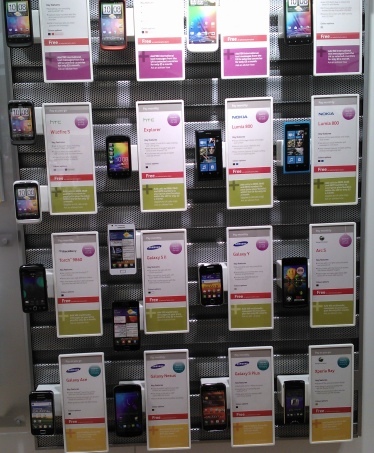 A UK phone store - let's play 'spot the Lumia' ! Operators are also frustrated that cash-rich Microsoft is not spending more on marketing Nokia Windows phones. "The operators say to Nokia: 'We will try to bail you out if you and Microsoft come with the marketing money,'" says telecom consultant John Strand. "But even if the operators start to give away the Nokia's for free, it will not make Nokia a success," said Strand, who works with many of the top European carriers. One device chief at a European operator agreed. "We can open our stores to them and train our staff to sell the phones, but that's it," he said. This is partly right; Microsoft has been doing little visible marketing for Windows Phone. Meanwhile though, Nokia has been incredibly visible, it's difficult to watch the TV or walk around shopping centres without seeing an "Amazing Everyday" advert for the Lumia range. Strand is correct in that marketing and training are the tools which network operators have at their disposal (plus subsidies). However, they are choosing not to use them until Microsoft picks up some of the tab (see Reuters again). This is understandable logic, but is somewhat short sighted. Possibly, Windows Phone has had enough of the effect that operators needed. Apple and Android OEMs know that operators can now fall back on Windows Phone if deals become unsatisfactory. That would leave Windows Phone with a great deal of inertia to overcome for it to realise its potential. That inertia is contributed to because Android has now become the de facto product to sell, from the sales assistant's point of view, they know they'll keep their jobs if they keep selling Android. Having said that, the Lumia 900 topped the Amazon (U.S.) smartphone best sellers list, and at the time of writing it is sitting comfortably at number four. The operator influence is much more of an issue in the U.S. than in Europe. According to Reuters, only "50% to 70%" of smartphones are purchased by network operators in Europe, compared to 90% in the U.S. Therefore we can possibly see user preference become much more of a reflection on Windows Phone's acceptance in Europe than in the U.S., where operators have far more influence. 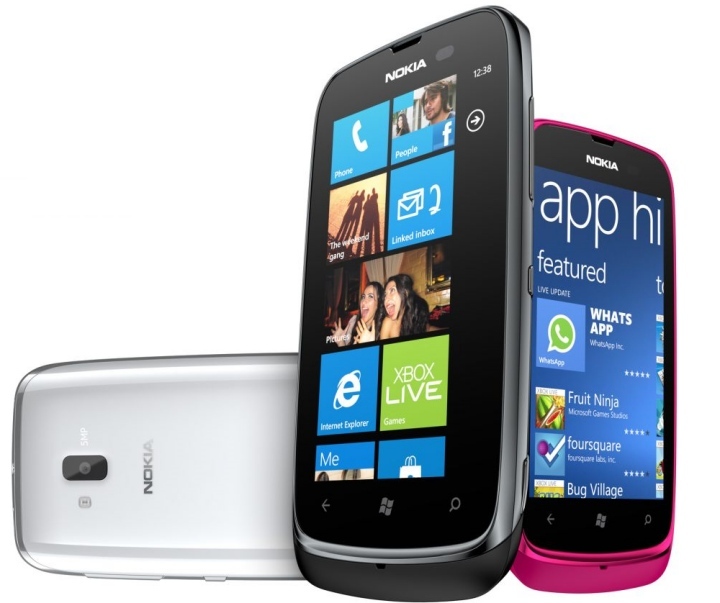 The Nokia Lumia 610 - leading the charge into the Mid-Tier battle. It looks like Nokia and Microsoft still have a big hill to climb. Attacking the mid-tier with more handsets like the Nokia Lumia 610 is a good move for those who say Nokia Windows Phone devices cost too much. However, to win over influencers, a much higher specification (and thus expensive) flagship handset needs to be put on the market. This is something of a problem because Windows Phone doesn't yet support multicore processors, which is one the specifications Windows Phone is criticised for lacking. However, whether you agree with the need for such a flagship or not, critics are asking for such a device, and if that is what it takes to win them over then the public relations is perhaps worth it. There are some general criticisms that are unfair and cannot ever actually be remedied though. For example, take the connectivity bug on the Lumia 900 - there will always be technical glitches with new devices, no company is immune to that - but Nokia handled the situation with more grace than most companies (source). The second area of criticism is differentiation; when it comes to software, Microsoft has truly innovated, not so much with Metro UI, but by changing the focus of the OS from being application-centric to (in part, at least) being task-centric by means of 'deep linking' to specific parts of an application, via live tiles. When it comes to hardware differentiation, there is little that can be done; the market has already expressed a perference for touch-slab devices, which puts a big restriction on the freedom of hardware designers. Devices with physical QWERTY keyboards are becoming an ever decreasing niche. It will be interesting to see what reviewers make of a Nokia Lumia device with PureView technology. 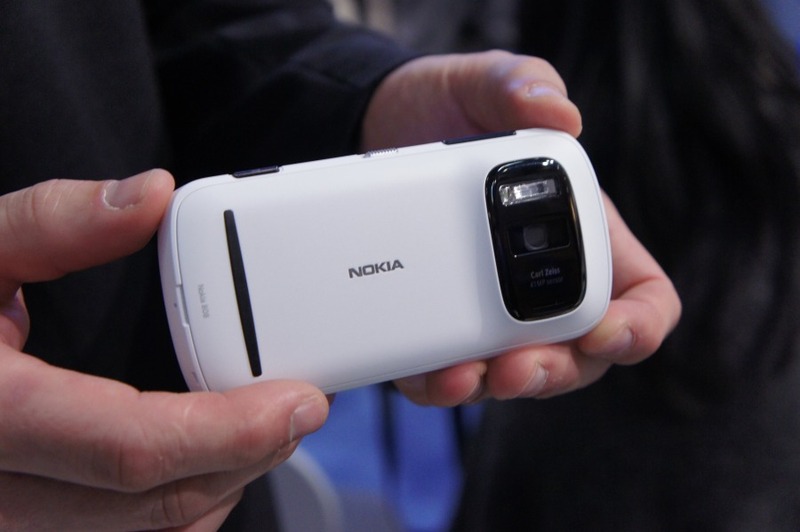 Nokia Pureview 808 - the shape of things to come for Lumia devices? David Gilson, 18th April 2012.